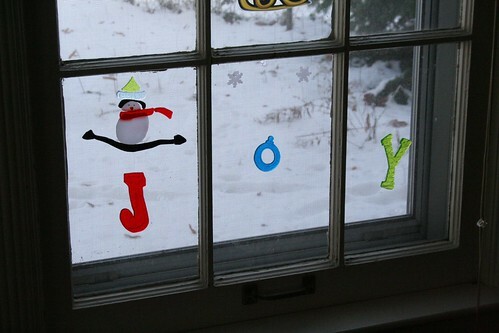 Advent Day 18 :: Decorate the windows with Christmas gel clings, originally uploaded by earthchick. I don’t know what is up this year, but I have had the hardest time ever finding Christmas gel clings. (I had a problem at Thanksgiving, too). So this sad little collection right here was the best I could do (at Target). I was pretty bummed about it, but the boys were still happy to decorate the windows.